There are two easy ways to find the ID. 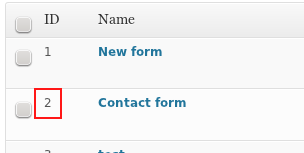 Go to Quform → Forms on the WordPress admin menu. The ID of the form is shown at the start of the row. 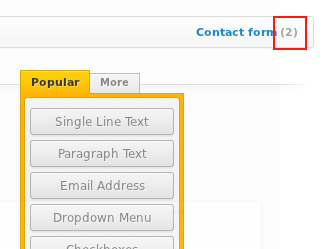 Inside the form builder, the form ID is shown in the top right hand corner.